We recently spent a long weekend in Norway to visit the Fjords. A bucket list experience that we was to excited for. We chose to visit a smaller town to get a feel for the real Norway and with hopes that it wouldn't be too touristy. 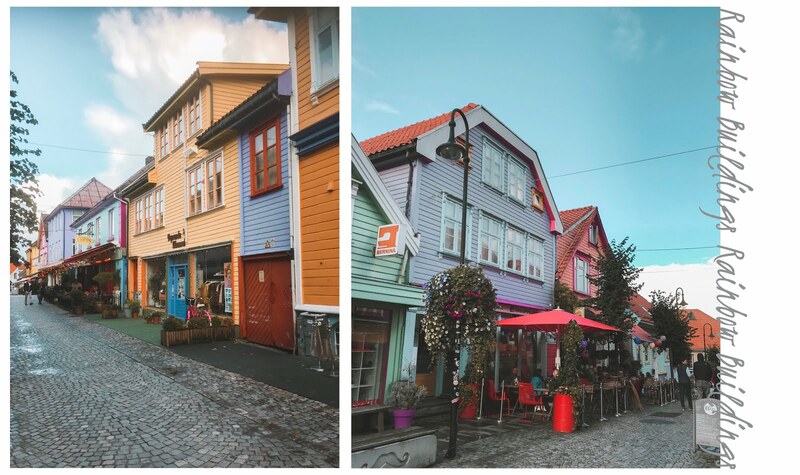 The town we stayed in was called Stavanger and it is lower down in Norway; below Bergen and across the other side of the country from Oslo. 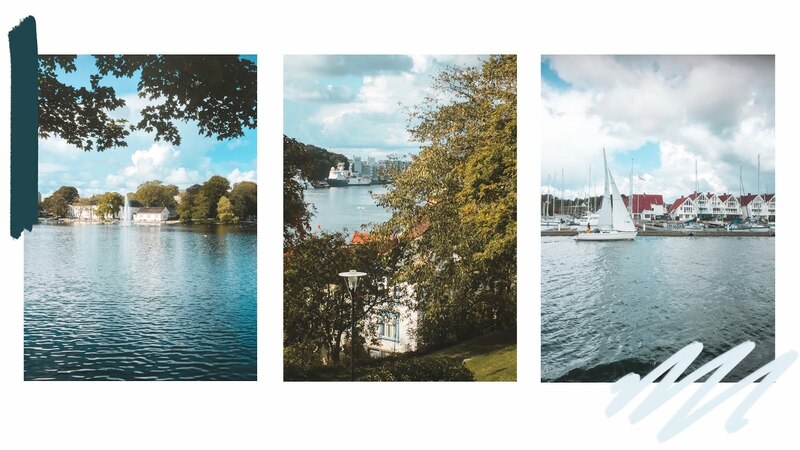 As well as wanting to visit the Fjords we also had a good time exploring Stavanger and it was really quite beautiful. It had a beautiful harbour which we enjoyed walking around. It was also surrounded by restaurants and some bars. When we're away we love to find some colourful buildings. Stavanger took that to a whole new level! Not only did we find a few buildings but they have a whole cobbled street lined with colourful bars, restaurants and shops. It has to be one of the most photogenic streets we have ever seen. We also visited at the end of summer so they still had some beautiful planters full of flowers. I mean have you ever seen anything quite as colourful as this street! We could have spent the whole day here taking photos! We also noticed that as it got later in the day the atmosphere picked up and it started to get busy for the evening with people going out for dinner and to the bars. Around the harbour there are some beautiful buildings that all reflect on the water. If you're lucky you can also spot some quaint old boats. The harbour was nice and calm which made it a really relaxing place to explore. The main reason for our visit though was to see the Fjords. On our second day we hopped on our boat trip and out we headed. The boat ride wasn't too long as we picked up some speed. We was very lucky with the weather so we spent most of our time at the back of the boat where we had plenty of space to take photos and really appreciate the amazing views. This was the old town and it really was so quaint! Be prepared to do a lot of walking though as there are so many cobbled streets and the town is very hilly. The colours of the Norwegian Fjords summed up. We are absolutely obsessed with these natural shades of green at the moment. Norway was so insanely beautiful and didn't disappoint with how much greenery it had to offer. Our Fjord cruise was about 3 hours long and it allowed us to not only see the Fjords but also we stopped off at a waterfall where we was able to taste the natural fresh water and we also went past Preikestolen better known as "Pulpit Rock". There is an option to stop off to hike to the top so thats something to defiantly consider when booking your trip. We hope that this guide has been helpful for planning your visit to the Fjords.